It is a real time war strategy game that is not very striking but has a good chunk of features to urge you to give it a shot. The game is a sequel to the State of War which provided some good features. This time they have extended the gameplay and have added some new features to make it even better. Terrorists have threatened to bring chaos in the world and the united forces have step forward to bring them down. The theme is very typical but the scenarios and that gameplay is a bit distinct form other games. You will play as the leader of the forces and you have a lot of resources at your disposal. 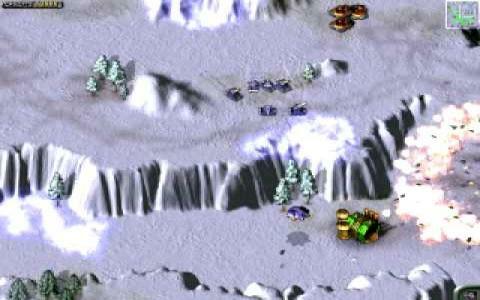 The resources include turrets, army, air force and a good range of weapons that bring some serious damage to the enemy. You have 16 different missions to perform in the game and every missions in unique from the other. It also gives you a multi-player mode but the A1 is very good to give you a fun time even if you play it alone. The graphics are not top class but are enough to give you a good view of the action. I also like Soldiers of Anarchy because it is fun playing.